Following last month's review of DK's LEGO Nexo Knights Book, we're back with another of their recent releases. 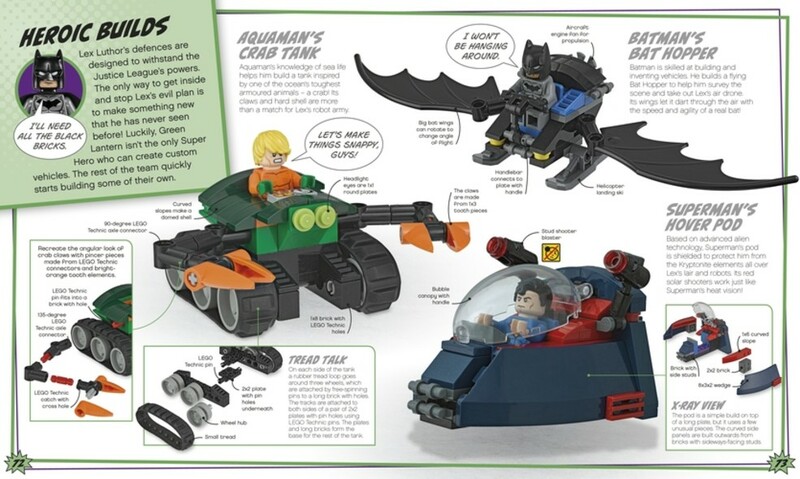 Combining LEGO parts, a minifigure, and a full-colour hardback book crammed with inspiration, we check out the LEGO DC Super Heroes Build Your Own Adventure Book. 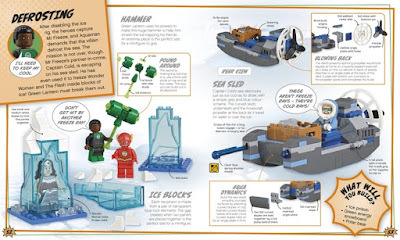 This book follows the exact same layout of the Nexo Knights edition (as well as the Star Wars and City books from last year), opening with instructions on how to build the included exclusive model, then leading into a narrative of sorts, taking the reader through chapters of different building ideas. As we've stated in reviews of similar products, the included LEGO parts CAN'T be used to build everything you see in the book, and the photos and tips are supposed to be suggestions about what could be created, so long as you have a pre-existing LEGO stash. Some of the build ideas tend to use pretty specific parts, too, so we suggest getting this for a kid who already owns quite a bit of LEGO first. As this book follows the DC Super Hero team The Justice League, you can expect to see plenty of awesome vehicle designs, as well as ideas for evil lairs and huge robotic monsters. If you want ideas on how to build a pleasant little cottage, this isn't the book for you. 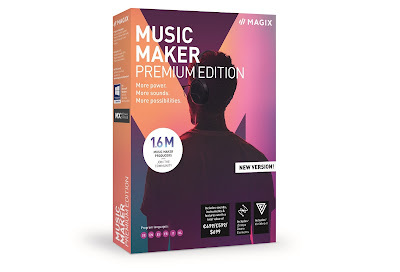 But what about the included model? 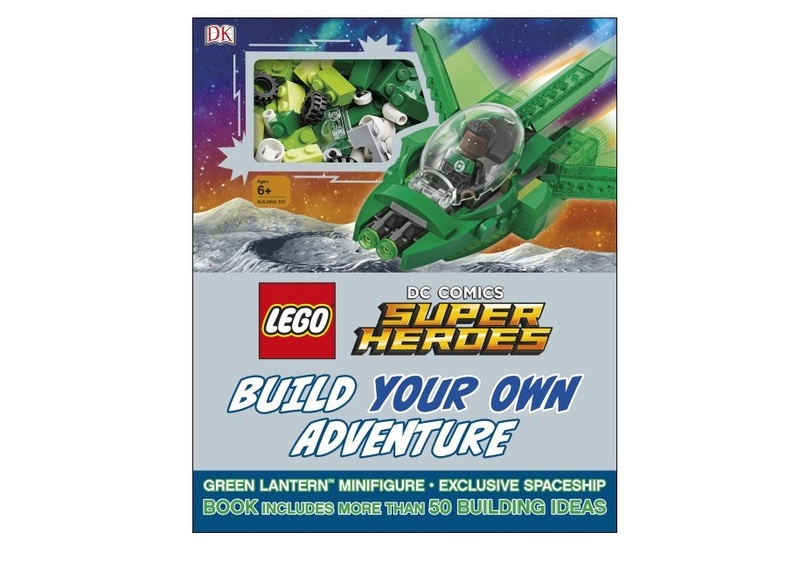 The sixty or so parts go into building a cool green jet/sub/space ship for The Green Lantern. Along with the figure of 'ol green eyes himself, the finished model is actually pretty nifty. ... the cockpit, complete with opening canopy and green transparent pieces in the floor. There are more trans green parts in the rear, and these make up the adjustable fins and engine pods. You can notch the fins all the way forwards (the story in the book tells you when and why The Green Lanterns needs them that way), while the engine pods can rotate through 180 degrees each. Its a nice touch, and changes the look of the model for different playing scenarios. Stud shooters! There are weapons up front (don't worry, LEGO included spares), and some really nice curved parts which go into the sides of the ship, built in multiple directions. All in all, this is a great little build that took no more than ten minutes but seems to provide plenty of scope for play. As with the other books in DK's range, the LEGO DC Super Heros Build Your Own Adventure Book is a great way to get kids inspired into making their own models. 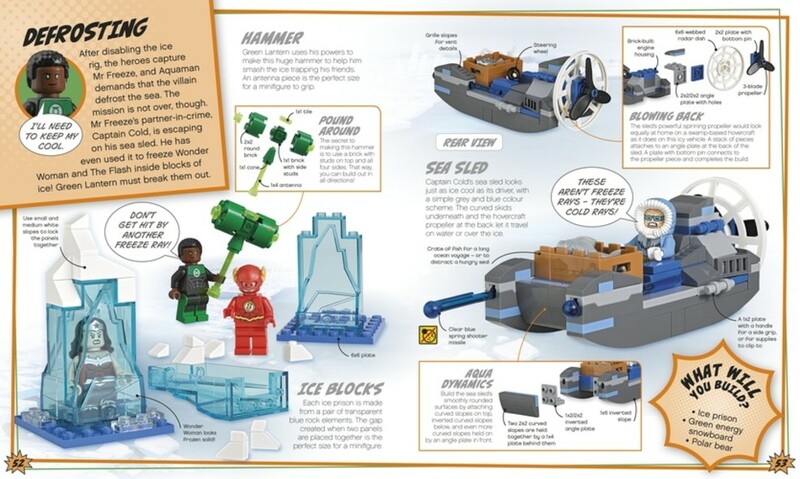 We actually like how instructions for the suggested builds are not included, encouraging kids to get thinking and put their own personal twist on a model. Check it out.